What's New at Crestwood Design. Crestwood Design constantly updates this page to provide our customers with the latest news and information about the products we offer. Please add this page to your favorites or bookmarks and be sure to visit us regularly. Available in either solid White Oak or Cherry. These hand-crafted Wedding Goblets (available in either solid oak or cherry) are based on a Celtic tradition of the Seventeenth Century. The tradition requires that the Wedding Goblet and the two rings be crafted from a single piece of wood in order that the two rings remain unbroken. When the bride and groom toast each other from the same Goblet on their wedding day, the unbroken rings, symbolizing strength, unity, & eternity, invoke a very powerful bond for the happy couple's future together. Each Goblet is hand crafted and comes with a scroll explaining the tradition and importance behind the Goblet. Our Celtic Wedding Goblet is the perfect gift for a special bride and groom. This is the latest piece we have added to our collection, a wider version of our Morris Chair. We made this piece for a customer seeking a little more width than our standard Morris Chair and have decided to add to our permanent collection. 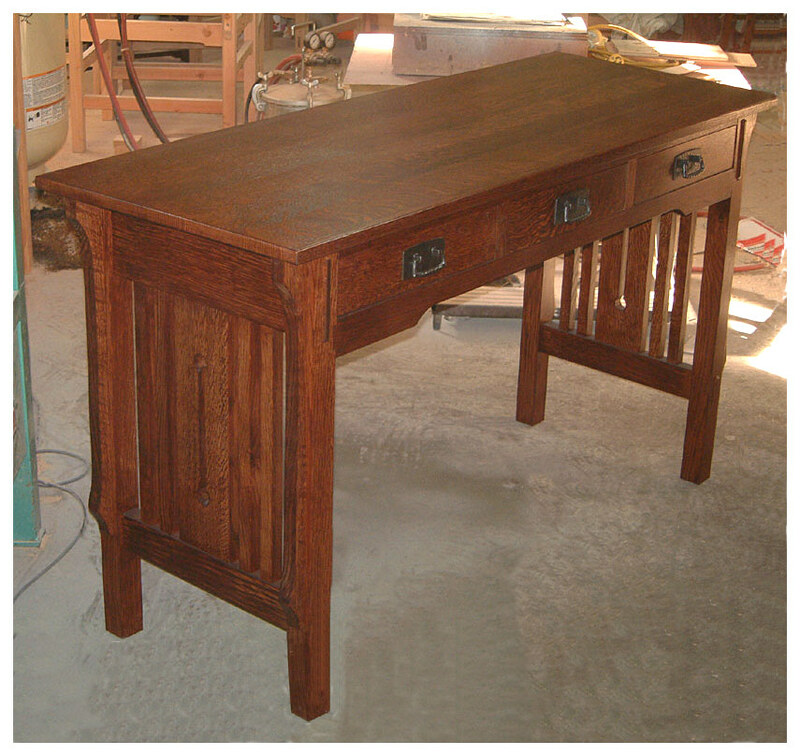 We can custom make this piece to the exact size a customer desires. 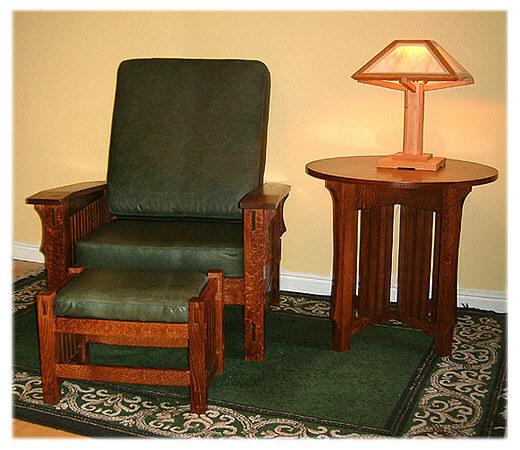 Please contact us to discuss your required dimensions and we will be happy to custom make a Morris Chair for you. Wide Morris Chair (LMCW1) Please call for Pricing. We recently completed this Library table for a client who was looking for furniture for his office. It features three drawers and a unique Arts & Crafts motif in the large centre spindle.